The Democratic poll surge looks similar to that of Hillary Clinton’s before she lost to President Donald Trump in 2016. Democrats worry Republicans might pull out another victory despite their recent polling surge. Michael Bloomberg and Tom Steyer’s cash could be enough to tilt tight races toward Democrats. Democratic candidates are entering a last-minute surge in the polls in the last few hours before Election Day, but a number of Democrats are seeing a lot of comparisons to the 2016 presidential election. Democrats and Republicans are essentially tied in the roughly 30 House districts rated as toss-ups by the Cook Political Report, which relied on 10,000 interviews for its conclusion. Data, which was released Monday, shows Democrats are on the cusp of taking the House despite the narrow margins. But many liberal activists and Democratic strategists remain unconvinced. “We’re kind of just in the bed-wetting phase now,” Democratic pollster John Anzalone told reporters Sunday. He campaigned hard for former Secretary of State Hillary Clinton before then-presidential candidate Donald Trump pulled the rug out from underneath her campaign. Other activists shared similar concerns, with one even recalling having nightmares about poll numbers. “I’m old enough to remember when The New York Times gave Hillary Clinton an 85 percent chance of winning on election night and to have been traumatized by the New York Times election needle,” Ezra Levin, who co-founded the Resistance organization Indivisible, told Politico. He added that Democrats are unlikely to be reassured until Tuesday comes and goes. Democrats need to win only a handful of these toss-up districts to gain the net 23 seats needed to take control — it’s one of the reasons why they are considered favorites. But those races remain paper-thin close. Each of the final 28 poll results was within the margin of error, with 20 of the 28 within 2 percentage points, a margin considered near statistical white noise. The Democratic Party is hoping to win those races thanks in part to a deep bench of candidates, many of whom are receiving millions of dollars in donations from the country’s wealthiest liberals. 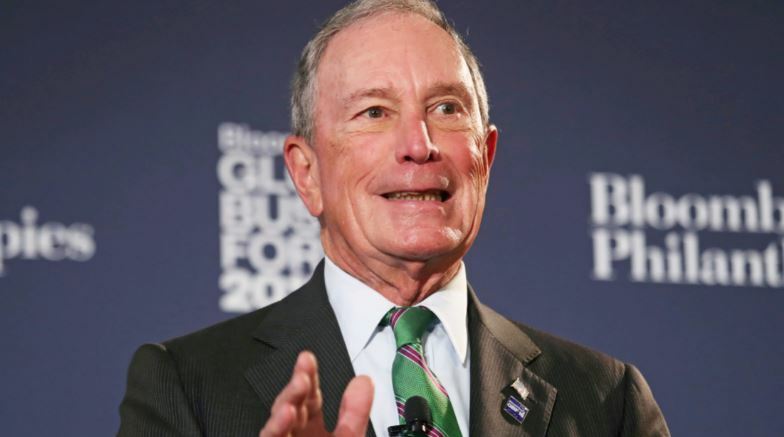 Former New York City Mayor Michael Bloomberg, for one, has dumped millions of dollars in support of Democrats so far this election, according to Federal Election Commission data. Bloomberg, who is considering a presidential run in 2020, focused much of his effort on California, where his political group reported shoveling $4.4 million on advertising against GOP Rep. Dana Rohrabacher. Bloomberg is not the only liberal billionaire campaigning against Republicans across the country. Former hedge fund manager Tom Steyer is using his wealth to campaign for Tallahassee Mayor Andrew Gillum’s run for Florida governor. Steyer has given over $42 million this midterm election cycle to Democrats and other progressive causes, according to the Center for Responsive Politics. He is also flirting with a possible run against Trump in two years.